Come to CampHarit for an unique break. 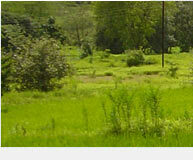 Here you can learn all about herbs, their uses, organic cultivation, environment, enjoy nature walks, treks, yoga, meditation, tribal art, music, dance, traditional pottery, adventure, sports, bullock cart & tractor rides, kite flying, fishing, camp fires, and visit village markets, fairs, dams, rice mills, brick kilns, dairy farms, fish farms. CampHarit Ecorganic Farm Retreat, nestled between a perennial river and reserve forest near Mumbai, offers you a unique break from the urban grind. It provides a taste of rural life at an ecorganic farm. CampHarit is a twelve-month destination and each season brings with it, its unique beauty and charm. CampHarit offers dormitory accommodation for groups up to 50, family rooms and tents, bottled water and all meals (purely vegetarian and traditional). We do not permit alcohol, tobacco and drugs. Let the peace and serenity of the place intoxicate you. We also discourage non-vegetarian food, carbonated drinks, ice creams etc. Learn all about herbs, how to use them, how to grow them in your homes, balconies, terraces, gardens or farms and carry away herbs, seeds and plants with you. 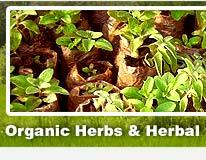 There is a garden and display of over 100 medicinal plants with monographs. Participate in Farm Activities : the venturesome can dirty their hands, dig into soil and participate in the farm activities (farm gear and implements are provided). Try cooking dehati istyle. You can milch a cow, feed her and tend her. Understand Organic Farming and Vermiculture, what, why and how of them, their benefits on health & environment and how to convert to an organic consumer. Bring out your Love for Nature, you can join bird-butterfly-insect watch, treks, nature walks in nearby forest and mountains or along the river and play nature games. Appreciate local traditions and enjoy rural fun like Warli tribal art (try some strokes), music (pool in your skills), dance (try a few steps), traditional pottery, bullock cart rides, tractor rides, games (join in) like gully cricket, kite flying, fishing, camp fires, visit weekly markets, village fairs, dams, rice mills, brick kilns, dairy farms, fish farms, poultry farms, pig farms etc. You can come in groups, with family or all by yourself. These camps are designed for children in the age group 10-15 years. These camps offer the right mix of fun and activity based exposure to nature, ecological and environmental issues, social dynamics, self development, traditions and healthy living. Schools like Jamnabai Narsee, Ecole Mondeal and Gujarat Research Society's Jasudben M. L. School have already used this unique option. Host of adventure sports like rappelling, river crossing, treks, mountain climbing, biking, camping out etc., are offered in and around the farm and in the nearby outer Sahyadri mountain range. Host of adventure sports like rappling, river crossing, treks, mountain climbing, biking, camping out etc are offered in and around the farm and in the nearby outer Sahyadri mountain range. A rare opportunity to rejuvenate and recharge your body and soul by breathing in air purified by over 150 herbs and following principles and practices of these ancient holistic sciences under the expert guidance of qualified and experienced teachers and practitioners. CampHarit is an ideal option for groups like Rotarians, Lions, Giants, housing societies, large families, communities and other social groups for clean and decent kind of outings and get-togethers. The organic principles and vegetarian food practices followed by CampHarit make it perfectly suitable venue for Jain communities too. Groups of up to 50 people can be hosted for thematic off site and excursions. You will not find this experience anywhere else.